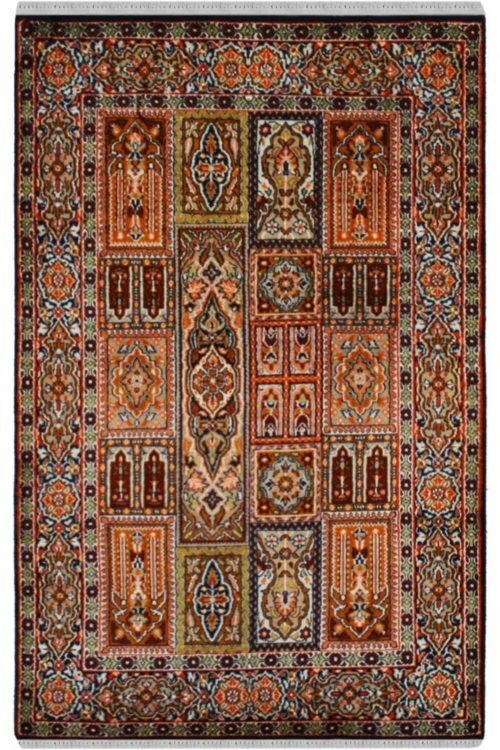 Gulab medallion Kashan represents a magnificent look with perfect colors combinations. This is applicable for the living room. 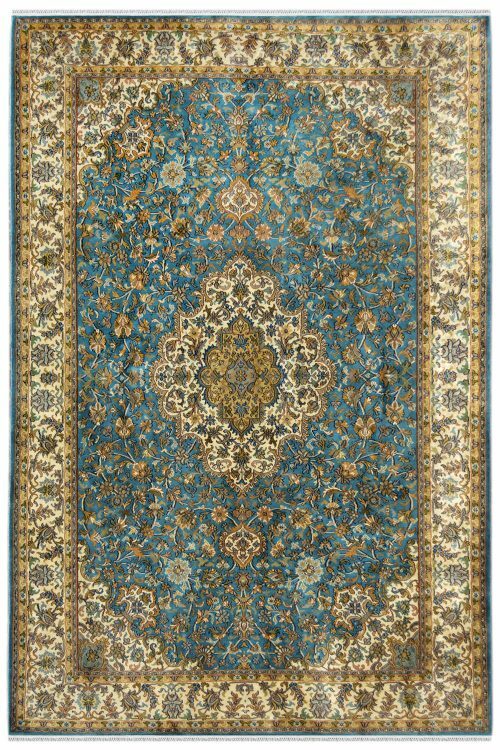 Gorgeous Gulab medallion kashan rug in beautiful colors and very typical design. 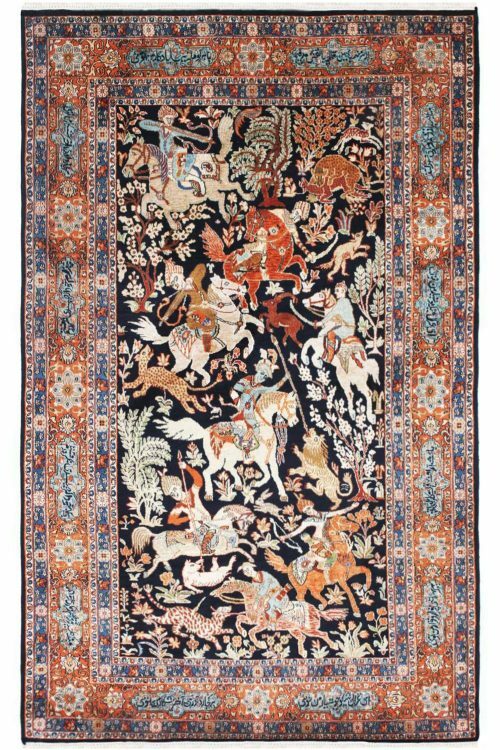 This carpet is the first choice of carpet lovers. This rug is Handmade in silk base and has pure Kashmir Silk on top. 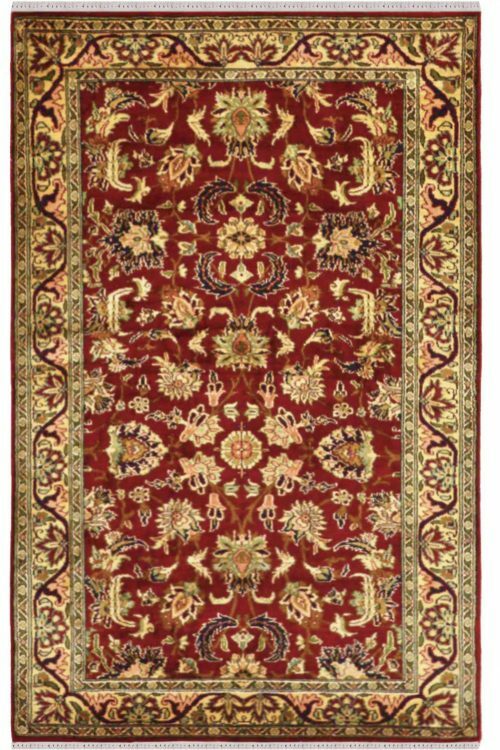 Number of Knots in this rug are326 knots per square inch. 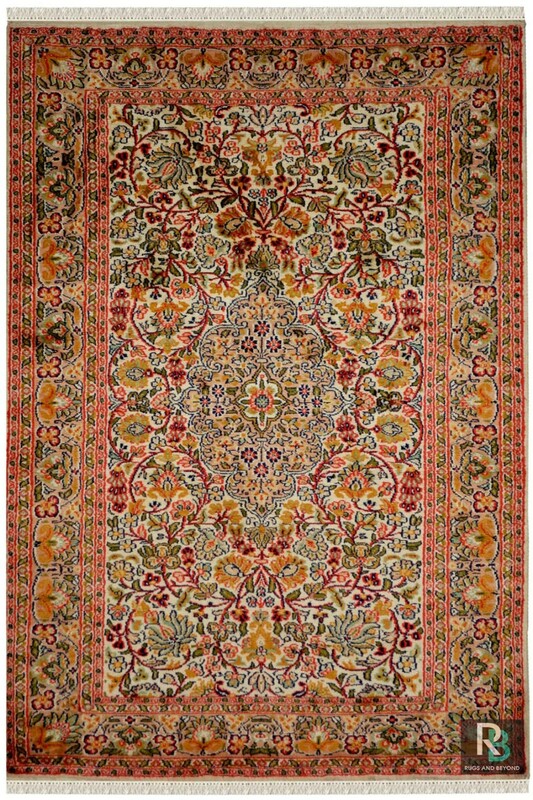 The primary colors are pinkish rust in the center and Cream color in the border with tiny floral pattern. Time taken to weave this carpet is approximately minimum 7 months.